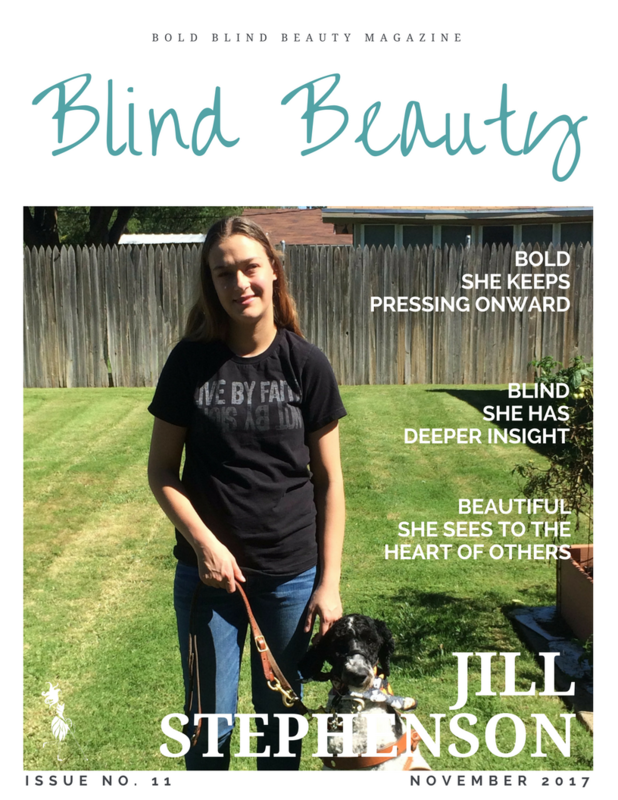 Jill Stephenson is a student who aspires to become a Teacher for the Visually Impaired. She is also a musician, and poet. Jill and Molly can both be followed on Instagram @that_one_blind_mouse and @mollys._.moments. Description: Featured image is a mock magazine cover titled Blind Beauty. Jill Stephenson and her guide dog Molly are on the cover standing in the sunshine on a well-manicured lawn enclosed with a wooden fence. Jill, wearing a black tee-shirt that says “Live by faith | Not by sight” and blue jeans, is holding Molly’s leash. Molly is an adorable black and white standard poodle. so deep and beautiful words!! Your comment will warm Jill’s heart Mihran. Thank you!! Thanks Camie. I’ll pass this along to Jill.